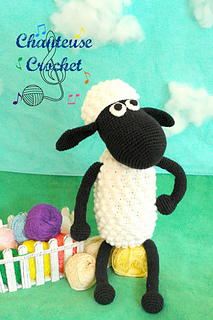 It’s Shaun the Sheep! My kiddos LOVE Shaun and all his antics so I thought of no better way to add to their fun than with a large plushie! Finished size: about 15” (38cm) seated when using worsted weight yarn and 3.5mm hook. 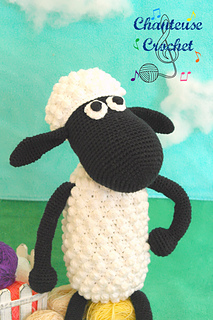 I don't own the rights to Shaun the Sheep, as much as I would like to. The character is property of his owners, and this pattern is a work of fan appreciation. 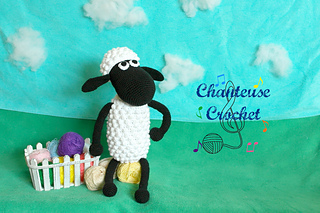 This pattern is an original design © Abigail Gonzalez, Chanteuse Crochet. All rights reserved. This pattern may not be sold or otherwise distributed or altered.